In recent days I heard the tragic news that an elderly gentleman in my parish, someone I had the privilege to know, had killed himself. Having lost his wife some years before and with little family to speak of, when I visited with him he would confide in me that he felt he had nothing left to live for. While he had a clear Christian faith and understanding of life, he now considered himself nothing more than a burden on the taxpayer, he felt he had lasted too long, outlived those he loved, and, quoting St Paul, he said it would be best to “be with Christ” (Philippians 1:23). In some ways, I sympathised with the predicament as he saw it. Modern medical science has run faster than our morality or the pace of our culture can maintain. Neither have we always handled deftly the unexpected outcomes of fundamentally good developments like longer life. Such conversations are not that uncommon for me with very elderly people. But I never anticipated or expected that he was quietly making a plan to die. Given that many people knew him and cared for him, I don’t think anyone else saw it coming either. I hope this doesn’t feel like I am betraying his confidence in saying this after his death, but when I sat and listened to him, my over-riding impression was that this man felt unbelievably isolated and alone. He lived with others. There were people around him all the time. He was always happy to strike up a conversation. But nevertheless he felt alone. Sensing his loneliness, I tried to engage him; the occasional visit, a chat in the churchyard and also writing letters or cards to know he wasn’t forgotten. I tried to invite him to attend various services or events St Mary’s hosted; mostly without success. One thing I said to him several times was that I believe that we live and breathe and have our being by God’s design. “For such a time as this” are we called (Esther 4:14). So if we are here by God’s design, even if we would rather not be, it must mean the Lord has purposes for each of our lives. What is it he would have us contribute? I do wish he could have seen that he had a contribution to make; that he wasn’t useless or a burden, and that there were many things that were worth living for. I know too that, while suicide is not a mental health problem in itself, it is strongly linked with mental distress and 75% of the suicides in the UK last year were men. It seems that we blokes are particularly bad at expressing how we feel or seeking help when we are hurting. As Easter approaches, I also know that while the night can feel very dark indeed, the sun will come in the morning. The Christian faith is hope made real, hope made flesh. If you feel that you’ve nothing to live for, or that you are lonely, or that there is no purpose or joy for you in life, please don’t suffer in silence and don’t seek your death. Please come and talk to me or talk to someone you know who will listen carefully to you, phone the Samaritans on 116 123 for free or visit the Samaritans website. It doesn’t have to be this way. I truly believe God loves you and he has good things for you. Invite your friends to watch the film ahead of the course starting. Each week will focus on one of the characters in the film, and together we will reflect on our own lives as Christians following a calling to be more truly ourselves. In the past years, those attending have found the sessions to be relaxed open spaces, with great opportunities for discussion. There is a book to accompany the Lent course that will be pre-ordered for you. If you would like to host a session and have room for around 10 people around a TV (with DVD player), please contact Rev’d Pat Dickin. Please register your interest with Rev Pat Dickin, Vicar for St Lawrence, Mereworth & St Dunstan, West Peckham. As I sit down to write this article, I have just completed the journey of Holy Week. Having started with the joyous entry of the King of Kings on Palm Sunday, we’ve descended to the depths on Maundy Thursday and known the desolation of Good Friday and the death of Jesus. Now, in four very different services today, I’ve led God’s people in the celebration of Easter joy. As I came home after the last service, my son showed me a picture from his National Geographic: Kids magazine (see picture). 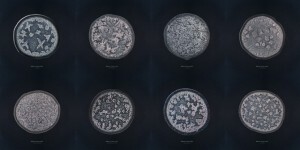 Dutch photographer Maurice Mikkers has made a study of what tears look like under a microscope. As they crystallised, imagine his surprise as he discovered that each tear is unique and different. ‘Reflex tears’, for example from chopping onions, look different to ‘basal tears’, for example from a cold wind blowing in your face. Emotional tears and tears of pain look different again. 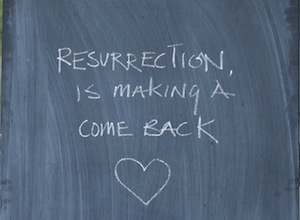 The Easter story is one of great joy and triumph, but it’s a triumph borne out of suffering and brokenness. As I said in my sermon today, we live with that question “what’s wrong with the world?” on a daily basis. Recent events in Belgium and before that in France, ongoing conflict in Syria, our own individual troubles and frailties, stories of abuse and power mis-used, relationships in difficulty and pain in our bodies. It’s all there and tears of all kinds are all too frequently shed. But the thought that each tear is unique can, perhaps, encourage us. It was for those tears and brokenness that God entered into our world in the person of Jesus. Each tear is gathered into his bottle and not lost. He sees our pain in the broken world we have created for ourselves, and He loves us from all eternity in such a way that it drove him to take action and make that journey from the cross to the empty tomb and beyond. Maundy Thursday, 24 March, 1.30 p.m.
Thursday 24 March, 7.30 p.m. Please remember the clocks go forward on Easter Sunday morning! Artist Gerry Judah with the sculptures. Within the walls of St Paul’s Cathedral, you will see two large white crosses that, viewed from a distance, seem somewhat uneven. As you move close to them, the reason for their irregular nature becomes clear. Woven into the arms of the crosses are intricate models of settlements, both contemporary and historical, that have been decimated by conflict. The twin sculptures by London artist Gerry Judah (pictured) sit at the very head of the nave and, at more than six metres high, they are imposing; strikingly so. The installations portray the brutal realities of war fixed upon an instrument of death. It’s a powerful image and one that reminds me, yet again, that the cross of Jesus is at once both a place of unspeakable brutality and a symbol of life and peace. Judah’s twin sculptures were installed in 2014 to commemorate the 100th anniversary of the start of World War One. But in an attempt to bring the memorials up to date, Judah stuck townscapes, reminiscent of scenes from Syria and Afghanistan, on the cruciforms. As I write, we are still in the season of Lent but Easter comes early this year and we will soon face, once again, the realities of our Lord’s cross and all that it means for us in being a place of peace and reconciliation, forgiveness, freedom and new hope. But our thoughts and reflections on the reality of the cross will count little if we leave them stuck two thousand years ago in 1st century Palestine. Like Judah’s crosses, the task each and every year, each and every day, is to re-imagine and re-appropriate the truth of the cross into our world and our own lives. The empty cross is particularly symbolic of Easter Sunday and Jesus rising from the grave. The cross is empty because Christ is no longer dead but eternally risen. So often the cross we might find in a church is smooth, plain and unmarked. Sanitised even. But the reality was that the empty cross of Christ would bear the puncture marks of the nails that had been driven through hands and feet into the rough wood. It would be stained by the blood and sweat of its victim. They were crudely and roughly made without much concern for their quality and no concern for comfort. The Judah sculptures in St Paul’s Cathedral remind us once again that even if the world still hurts and bleeds on a daily basis, the answer to that pain takes its journey to eternal life through the cross, through suffering and death and only then do we reach the hope of new life and the resurrection of Jesus Christ. It was my surprise and great pleasure to get an email from one of the fantastic teachers at West Malling CEP School last week. Her class had been thinking about the Easter story in their RE lesson and wanted to ask me some questions about Jesus’ resurrection. Fantastic questions unbidden from nine and ten year olds that cut to the absolute heart of the Easter story. For some of the answers, I was able to take them back to the texts we have in the gospels and read what was written. For others, we had to think and use our own powers of deduction. At the end of the day, I said to them, you have to decide what you believe happened to Jesus and such a decision is at the heart of the Christian faith. As a 19 year old I read a book that outlined all the possible scenarios of what really happened at Easter and so I used the gist of that book with the children to look at some of the main options. As the children explored, they decided that it didn’t make sense for the Romans to take the body and steal it. As soon as this apple-cart-upsetting new sect of Christians started to make waves, their revolution would have been easily quashed by the production of a corpse. Likewise, if the Religious Leaders had stolen the body of a man whose ideas they were so keen to destroy, it would have been sensible to bring it forth as soon as his friends, family and disciples began to disseminate those ideas even further. If the disciples stole the body, it would seem to make sense. Until you consider that many of them were subsequently executed for refusing to recant their testimony that Jesus truly had risen from the dead. People don’t die for something they definitely know is an outrageous lie. In the class, the children explored a few more theories; you can always trust a child’s imagination to come up with some alternatives and in my time I’ve heard plenty – Judas’ involvement, magic and alien abduction amongst others. For myself, many years ago I concluded (in the words of Sherlock Holmes) that when you exhaust all the possibilities, what is left, however implausible that may seem to you, must be the truth. So I believe Jesus is risen. I don’t believe it’s a myth, I don’t believe it’s just a nice story, I don’t believe it needs to be turned into a metaphor. I believe he rose because if God is God, then such things would be possible and if it didn’t happen, then I can’t see why the disciples would be prepared to die for something they knew was not true. If an Archaeologist produced a definitive grave and resting place for Jesus of Nazareth, I would resign my orders as a Priest tomorrow. It is that fundamental to me. If Jesus is not risen, then as St Paul wrote, ‘my faith is futile’ and ‘we are of all people most to be pitied’ (1 Cor 15.17,19). But if Jesus is alive, well then that’s a game-changer. That’s new life, hope, eternity, forgiveness, love, freedom and peace. Have a fabulous Easter, and may you know the power of the Risen Christ. daffodils. The death of winter gives way to the new life of the Spring. Spirits lift. Without the rain, eyes rise from the pavement to one another’s faces; heavy coats that protect and hide us away from each other are discarded once again. I suspect I love the Spring as much as I do because of those wintry months. The appreciation of these heights is all the more acute because we went down to the depths first and spent that time longing for the new day to dawn and the sun to shine. Spring brings joy, in part, because of winter. Easter Sunday brings joy, in part, because of Good Friday. It makes no sense without both. I love the hope of resurrection because I know something of the frailty of the depths that exist in our own human fragility. I take too many funerals and sit with too many families in their own depths to not have a sense of appreciation for hope renewed and recast in new ways in the midst of the pain. I take heart knowing that Jesus, my God with human face, experienced all that we experience. I can pray because I know that in the Garden of Gethsemane, he prayed honestly about the most painful of all depths that he was about to experience. In this last fortnight, Pope Francis I has signalled a change of perspective for my Roman Catholic friends and, continuing that thought about prayer, in this country Archbishop Justin Welby began work saying “let us provoke each other to heed the call of Christ… committed in prayer to Christ, and we will see a world transformed” (my emphasis). A recent ICM survey noted that four in every five British adults believe in the power of prayer. Do you? I’m not surprised, given that many people, regardless of whether I ever see them in church worshipping, often will say, ‘Pray one for me’. Indeed, there’s a Church of England website www.prayoneforme.org where people can make prayer requests and know that Clergy, Monks and Nuns will pray on their behalf. You may like to check it out. When I’m asked, it is always my privilege to pray such prayers, of course. But the message of Easter is that no other intermediary is necessary. In the events of Jesus’ life, death and resurrection, a way is made and our prayers can be heard. There are all sorts of methods of prayer but the key thing is always that those who wish to do so, have that Easter confidence and faith about them to lift their eyes, look for a new day to dawn and welcome the sun, asking it to shine.